I am sure all fashinista know Marni collabration work with H&M is officially launching in stores in a few hours (March 8th). It's kinda big deal here in YYC since this is the first time H&M is bringing its high quality designer-collaboration collection into the city. Unfortunately, before the news about Marni is doing something with H&M, many Calgarians doesn't even know the existence of this innovative Italian fashion house. However, I am grateful to know about the availability here, which means the fashion scene and market in this city are no doubt growing. Whether if Calgarians are thrilled enough to line-up before sunrise (like in NYC) for them is yet to discover, but for now I will comment that personally I like what I am seeing, and to a certain extent more than the last season's Versace collaboration. Recently I am really drawn to Paris, France based jeans label Notify. I think their designs are great trying to re-live the skinny jeans moment. I especially like their S/S12 jeans for guys; the styles really measured out to exploit a simple sleek look. Avoid from using too much fanciness that may clutter our eyes. The movie, initially a student project, became an award winning film in multiple international film festivals. What was intriguing was that the main actress, Marzieh (same name as the character) was arrested for "indecency" shaving her head for the film in Iran. She was interrogated and imprisoned for 3 months due to being a part of this film, which ironically aligned with the plot of the movie. Director Granaz Mousavi was also present to do a Q&A session. Binzento Vincente asked her how this movie may impact future film making in Iran and freedom of expression of the younger and educated generation. Granaz said she was very touched by the response from her fellow Iranians, and how they felt inspired striving to express themselves in their country. I also loved the Iranian underground music Granaz had chosen to be a part of the dialogues in the film. To foreign audience, this film shed some knowledge to understand more about the Iranian culture. 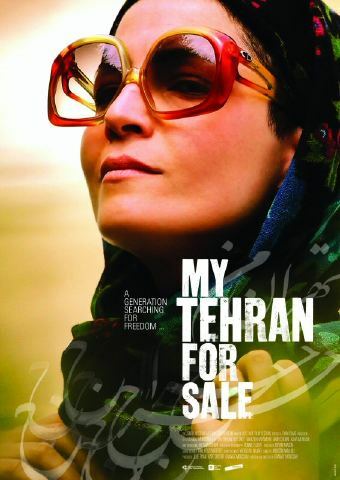 This movie is important for Iranian film making, as it touch based on the lives of the middle class, which usually lacks in Iranian productions. I also feel that this movie can be seen as a critical turning-point for artists in Iran and Iranian's art and culture; it's a realization of human hardships and courage to pursue.